Wanna know how lots of GOP politicians feel about their 2016 presidential candidate, Donald Trump? That’s easy. He scares the bejesus out of ’em. How can one tell? As Slate‘s Jim Newell observes, many GOPers won’t even utter his name. Instead, he’s “the nominee,” as in “I support the nominee.” Alternatively, for those looking for even more degrees of separation, he becomes the “ticket,” which as loyal Republican foot soldiers, they’ll support. Since there are many Republicans who view Trump’s ascendancy as the death of the Republican Party as we know it, this must the denial stage of grieving. I guess he hasn’t made it to the second stage of grieving, but is lingering over the first: anger. And well he might. 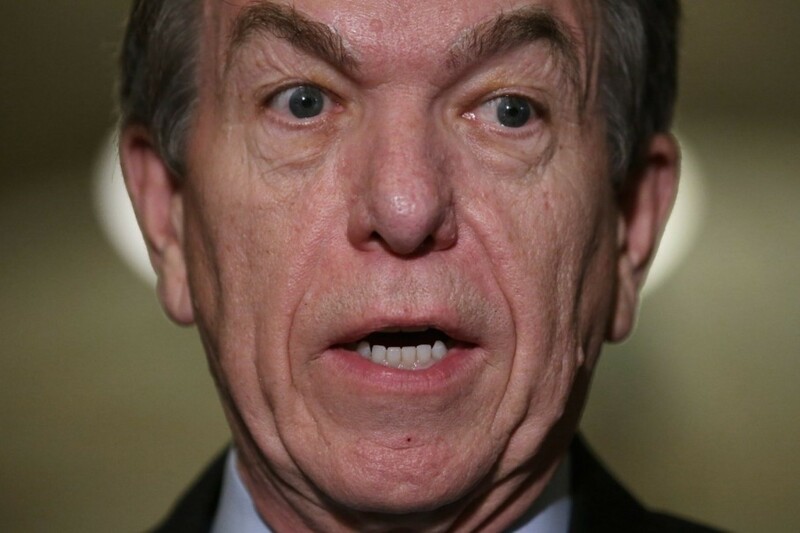 Today no less a source than the Washington Post indicated that Blunt was looking more and more vulnerable to the attacks of his Challenger, Missouri’s Democratic Secretary of State, Jason Kander. This must be a new sensation for Blunt. As a campaign surrogate noted, “in a normal election year, he would be untouchable […]. But given the volatility and the uncertainty, he’s aware he can’t take anything for granted.”Clearly, by “volatility” and “uncertainty,” Blunt’s mouthpiece means Donald Trump, but, of course, that name cannot be uttered by the more faint-of-heart GOPers. Blunt himself pointed to the 2012 result in Missouri — when senior senator Claire McCaskill, a Democrat, won by 15 points as Romney cruised — as evidence that his fate won’t be tied to Trump’s. But Claire McCaskill was running against the boneheaded Todd Akin. And Jason Kander is no Todd Akin.